A Bombardier Transportation employee in Sweden has been arrested and others questioned by police in connection with contracts for a railway modernization project in Azerbaijan. Swedish prosecutor Thomas Forsberg said the employee who was arrested is a Russian national who works for Bombardier Transportation in Sweden. According to Forsberg, the investigation is based on allegations that bribes were given to Azerbaijan officials "in order to adapt a contract" to fit Bombardier. The Russian employee is considered a flight risk and will remain in custody, Forsberg said. The contracts in question were for signalling and IT equipment upgrades at 46 stations in Azerbaijan. The project was financed in large part by the World Bank and involved sums in the hundreds of millions. The contract bid was led by the company's Russian affiliate, Bombardier Transportation (Signal) Ltd. According to the Radio-Canada program Enquête, which had been investigating the contracts, the business structure under investigation by the Swedish authorities saw equipment built by Bombardier's Swedish affiliate for the project sold to a shell company in the United Kingdom called Multiserv Overseas. The equipment was then sold to Bombardier's Russian affiliate at a steep markup. Enquête said the costs were inflated by 400 per cent in some cases, according to documents obtained from Swedish public broadcaster SVT and TT News. In one instance, the documents show signalling equipment was sold to Multiserv for around $19 million US. Multiserv then sold the same equipment to Bombardier's Russian affiliate for $104 million, a markup of $85 million, the documents show. Forsberg said it's believed Multiserv kept some of the profits and the balance was passed long to officials in Azerbaijan as bribes in exchange for "having favoured the Bombardier contract." Bombardier officials told SVT and TT News last month that Multiserv supplied equipment delivery logistics and other elements related to the railway project. The officials said the company had been verified and checked out. Radio-Canada said its own investigation found that Multiserv is owned by a company based in Belize. The company has business interests in a number of other tax havens and links to Russian businessmen, Radio-Canada reported. Radio-Canada requested comment from Bombardier about its findings, but the company has yet to respond. Bombardier Transportation in Sweden issued a news release Friday confirming that a number of its employees have been questioned. "At this time, it is premature to make any statement as to the outcome of the investigation and proceedings," spokesperson Claas Belling said in an email. "We will continue to co-operate fully with the Swedish authorities and will provide additional information when available and appropriate. As always, we are committed to operating in full compliance with all legal rules and requirements and our own high ethical standards." 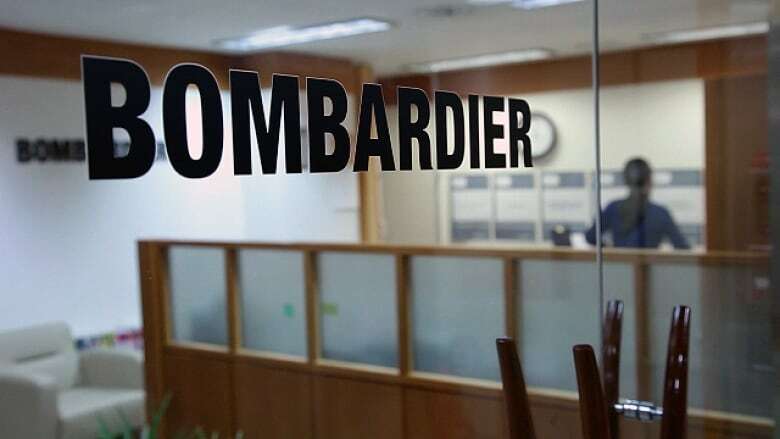 News of the bribery investigation in Sweden sparked questions in Parliament on Friday about Canada's pledge last month to lend Bombardier $372.5 million. Canada's Minister of Innovation, Science and Economic Development Navdeep Bains said the investment was "critical" and the government did its due diligence in advance of the agreement. "This investment that we made was for the aerospace sector, a critical sector in the Canadian economy that contributes over $28 billion to our overall growth, that contributes over 211,000 jobs to our economy," he said. Bains said his ministry is monitoring developments in Sweden, but said it would be premature for the government to consider suspending its agreement with Bombardier.